From the author of the sensational New York Times bestseller The Thief Lord comes a thrilling new adventure about magic and self-discovery. Meggie lives a quiet life alone with her father, a bookbinder. But her father has a deep secret--he possesses an extraordinary magical power. One day a mysterious stranger arrives who seems linked to her father's past. Who is this sinister character and what does he want? Suddenly Meggie is involved in a breathless game of escape and intrigue as her father's life is put in danger. Will she be able to save him in time? 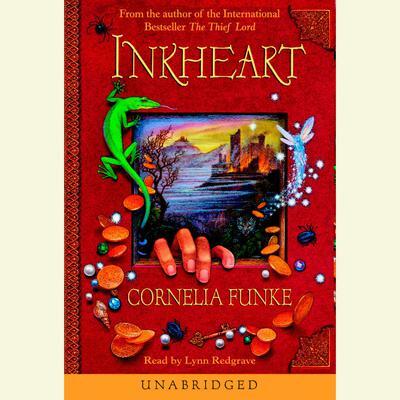 Includes an excerpt from Inkspell, the sequel to Inkheart, read by Brendan Fraser. Meggie lives a quiet life alone with her father, a bookbinder. But her father has a deep secret--he possesses an extraordinary magical power. One day a mysterious stranger arrives who seems linked to her father's past. Who is this sinister character and what does he want? Suddenly Meggie is involved in a breathless game of escape and intrigue as her father's life is put in danger. Will she be able to save him in time?